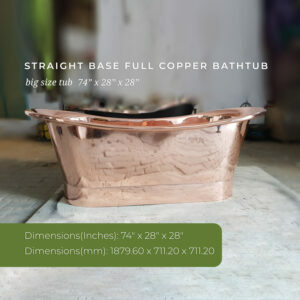 Dimensions: 60″ L x 30″ W (front to back) x 34″ H (± 1″). 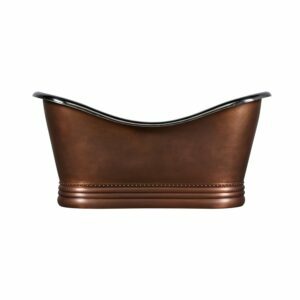 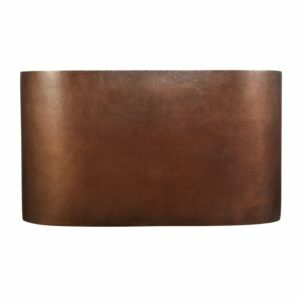 Interior seat: 19″ L x 11″ W x 7″ H (± 1″). 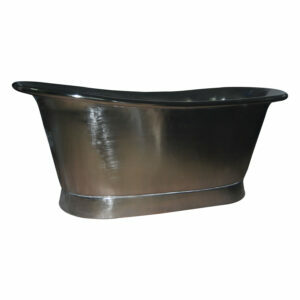 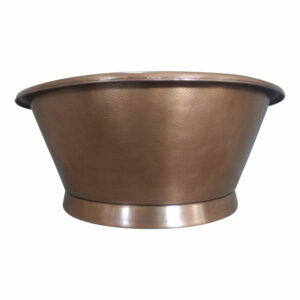 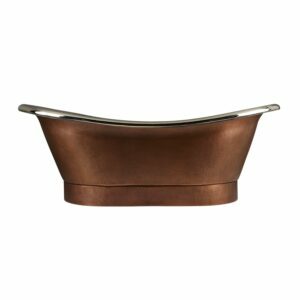 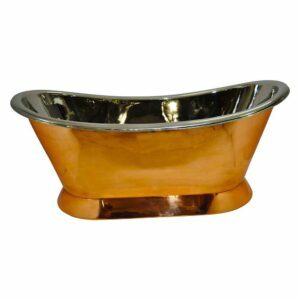 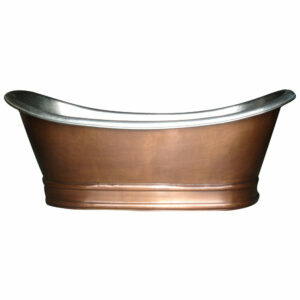 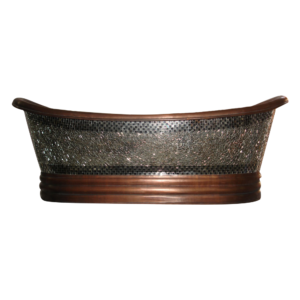 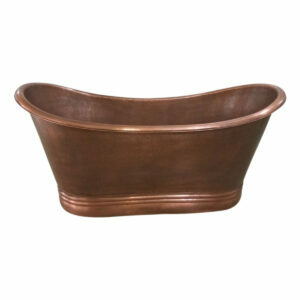 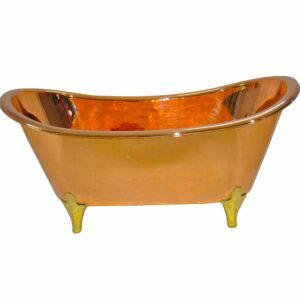 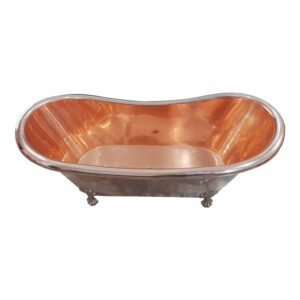 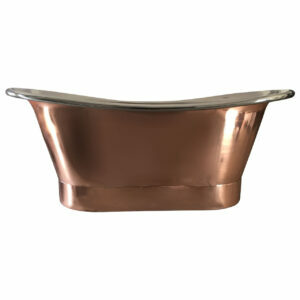 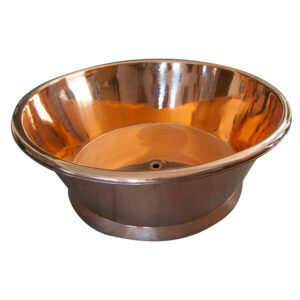 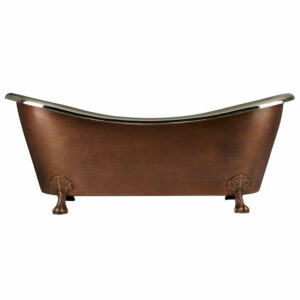 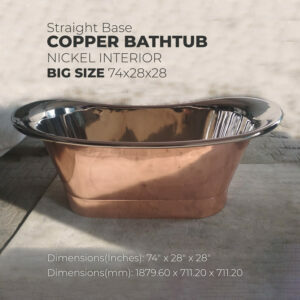 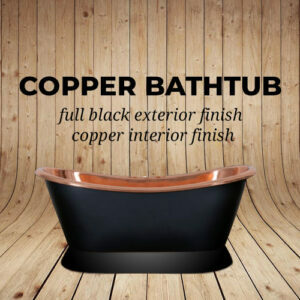 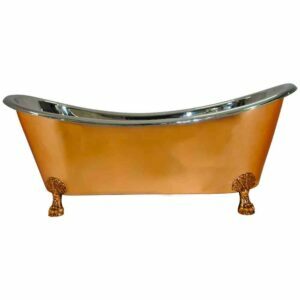 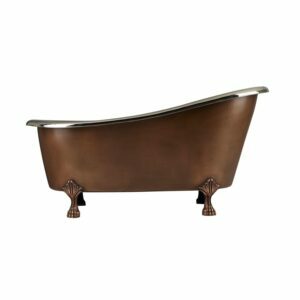 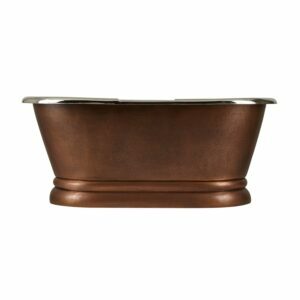 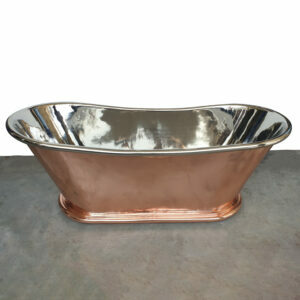 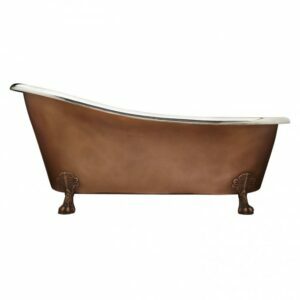 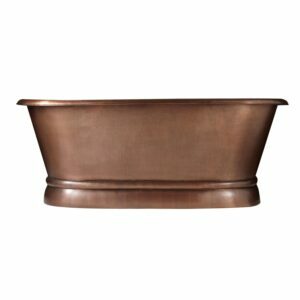 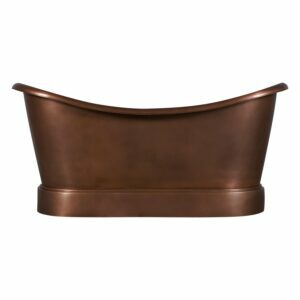 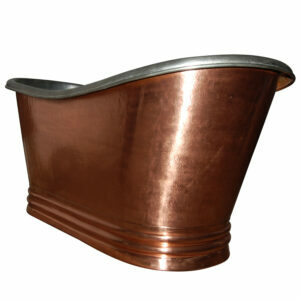 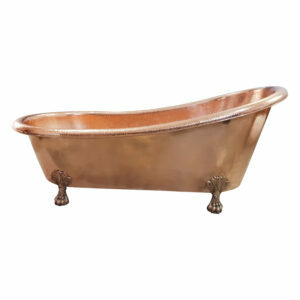 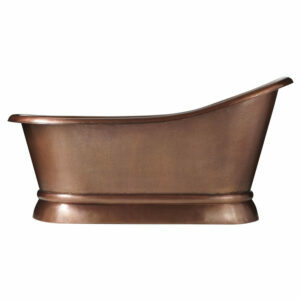 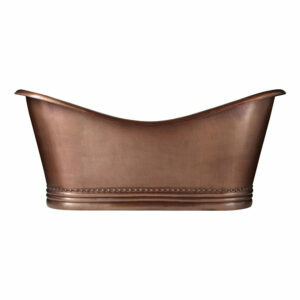 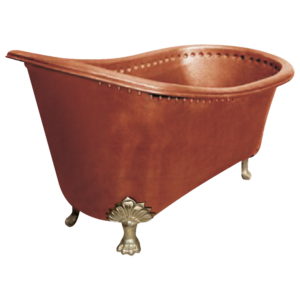 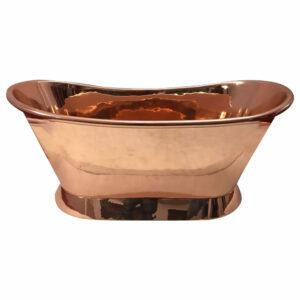 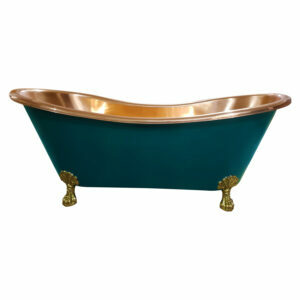 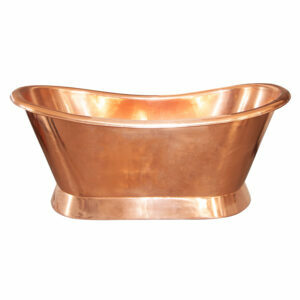 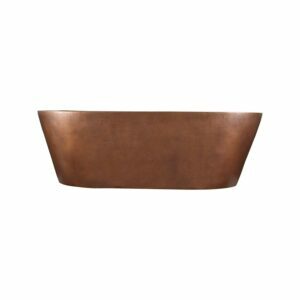 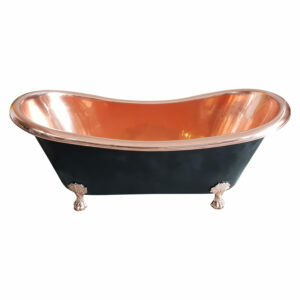 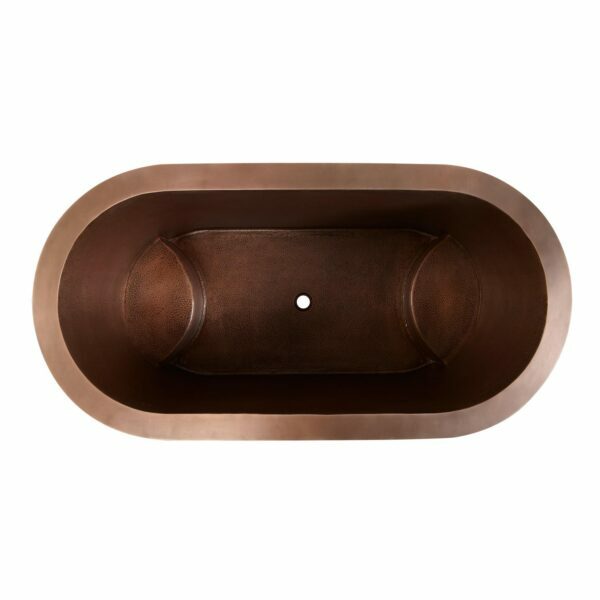 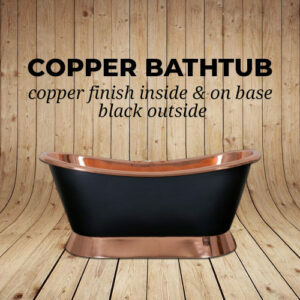 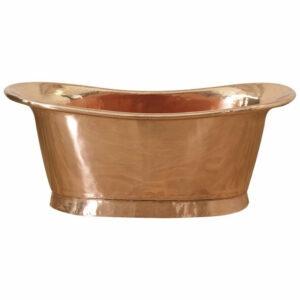 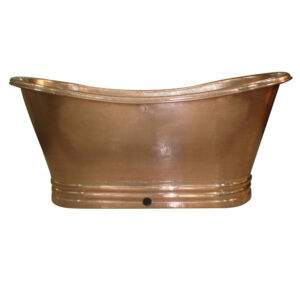 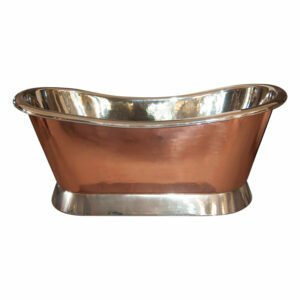 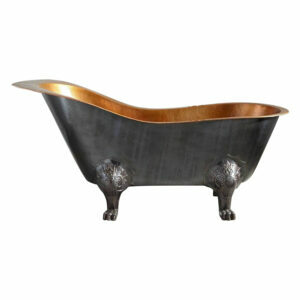 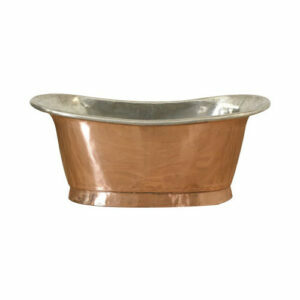 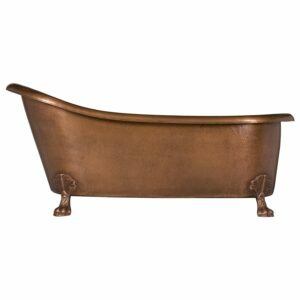 Featuring dual integral seats, the Double Walled Copper Bathtub, allows you to relax in spa-like comfort. 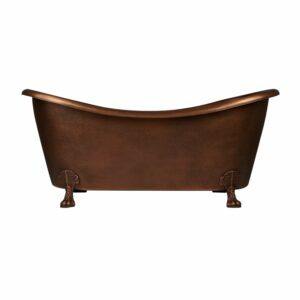 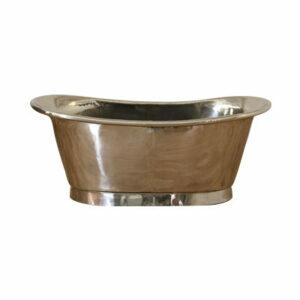 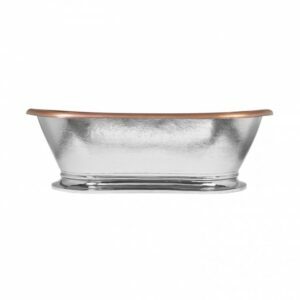 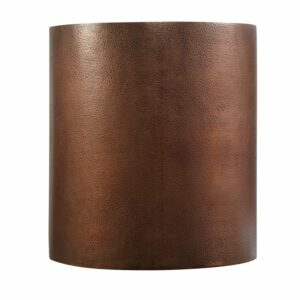 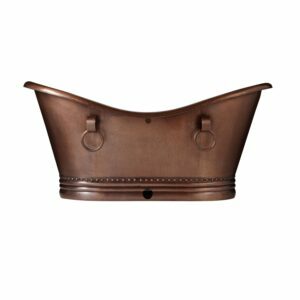 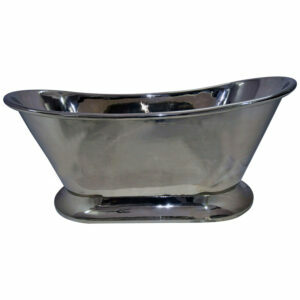 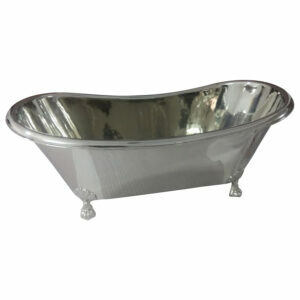 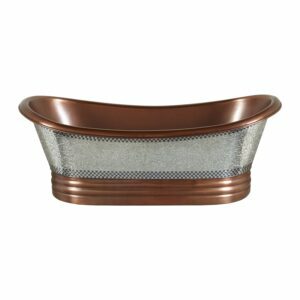 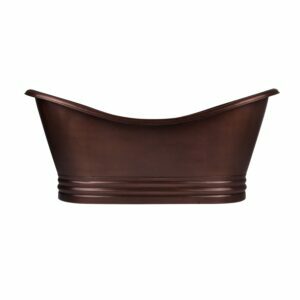 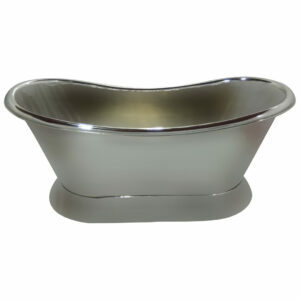 Pair with a stylish wall-mount or freestanding tub faucet to create a defining look. 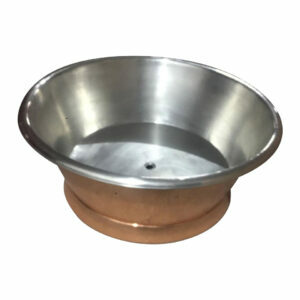 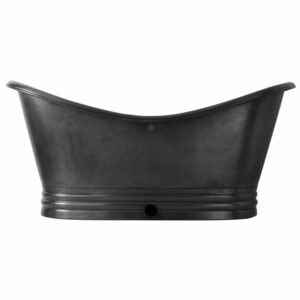 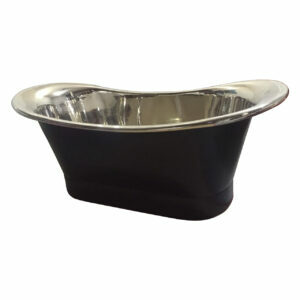 Overflow option: includes Extended Pop-Up Drain with Swivel Head and Press & Seal Overflow for greater water depth.